New apartments on 8th Street in Washington, DC. Amazing New Apartments on 8th Street! If you are looking for a new apartment home the bustling, artsy area of Shaw, prepare to be impressed by this show stopper! Atlantic Plumbing on 8th and V is a brand new community with features inspired by the artist lofts of New York City's meatpacking district. 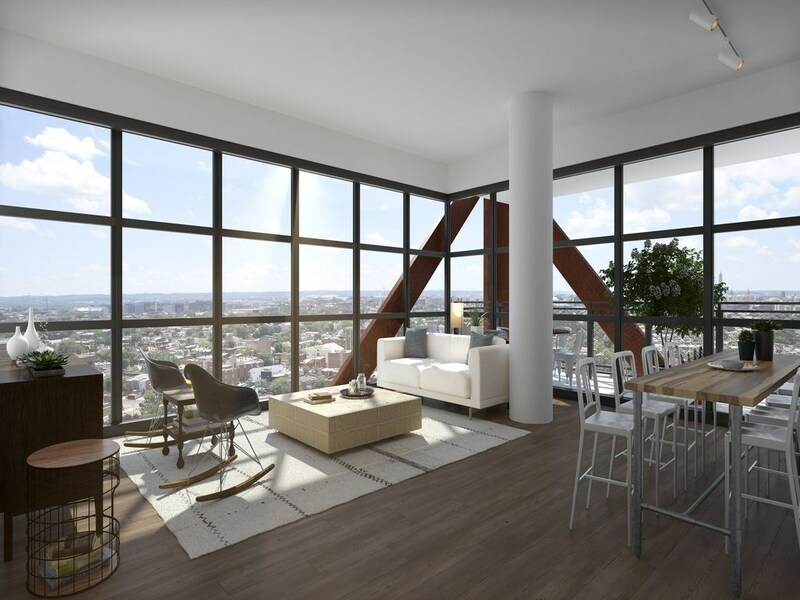 Apartment homes offer open floor plans, hardwood floors, custom cabinetry and expansive floor to ceiling glass windows with amazing views of the city. The building is designed with a green roof including an 8 story vertical garden. Within the rooftop garden there are already plenty of vegetables growing that residents can use, help cultivate and even start growing their own plants. 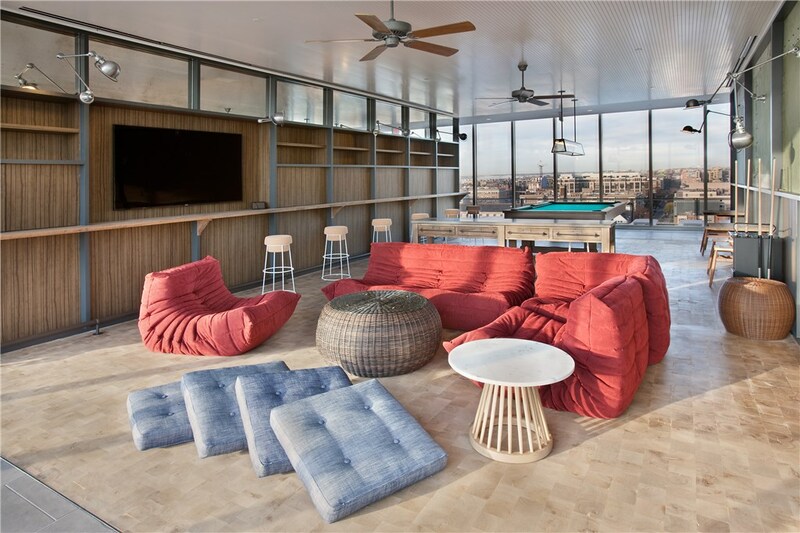 The rooftop also boasts a sparkling pool, sundeck, grill areas (each with their own dining table), a fire pit and outdoor movie theater. Imagine yourself soaking up the rays while enjoying amazing views from 110 feet in the air! Inside the community, residents enjoy a full service concierge, state-of-the art fitness center with Yoga and Spin studios, resident lounge and incredible on-site retail. On-site retail includes a full-service graphic design studio, several eateries, an artist-owned art gallery and more! Atlantic Plumbing offers multiple 1 and 2 bedroom floor plans with several that include an additional den for those that need a little more space. Every home features stainless steel or sleek black appliances, porcelain tile in the bathrooms, washers and dryers, large custom closets and Mecho shade window treatments. 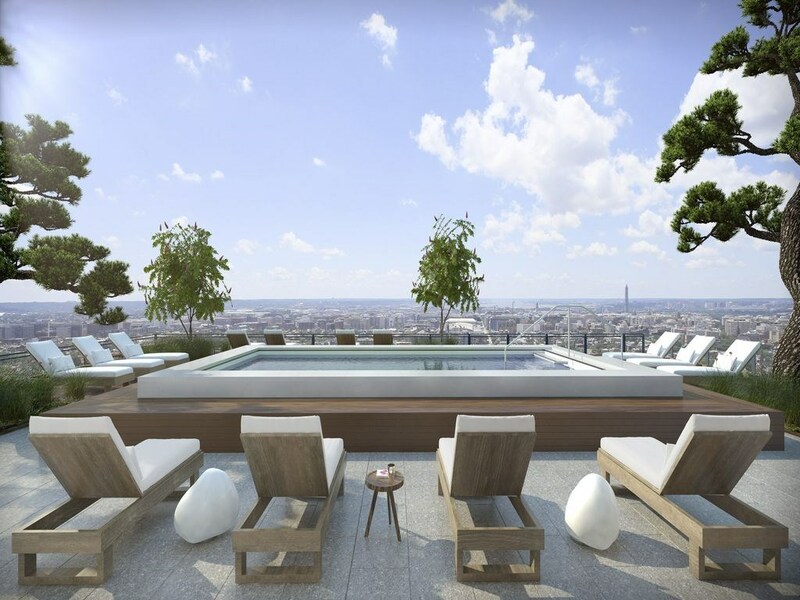 Now's the time to make the move to this unique, edgy and luxurious community! Don't miss your opportunity while there are still available units!